When it comes to Tesla’s eco-friendly vehicles, CEO Elon Musk sure enjoys making references to popular sci-fi and dystopian films. After introducing Tesla’s ‘Mad Max’ mode that sparked a hilarious Photoshop battle involving the brand’s ‘Semi’ truck, the company’s ‘Blade Runner’-esque lightweight pickup has now become center of attention. Initial sketches of the design were first teased last November. 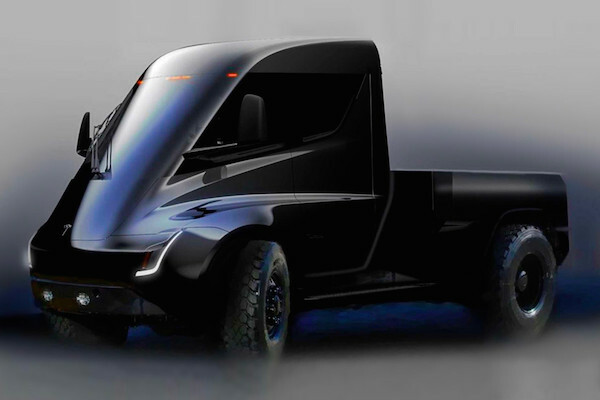 Its aesthetics, shown above, are based on the heavy duty, all-electric Tesla ‘Semi’ truck. This lightweight pickup model has been something Musk had wanted to build for a long time, and while the design might not take off with the masses, this doesn’t seem to bother Musk much. If there were only a small number of customers who favored this pickup truck design however, Tesla would probably make a more conventional truck in future, said Musk. In June, Musk tweeted that the truck would come with dual motor all-wheel drive, “crazy torque” and a suspension that dynamically adjusts for load. “Pickup truck will have power outlets allowing use of heavy duty 240V, high power tools in field all day. No generator needed,” added Musk. Read Recode’s full interview with Musk, where the entrepreneur speaks about his agonizing 2018, battling journalists on Twitter, why Tesla won’t develop an electric scooter, and more.